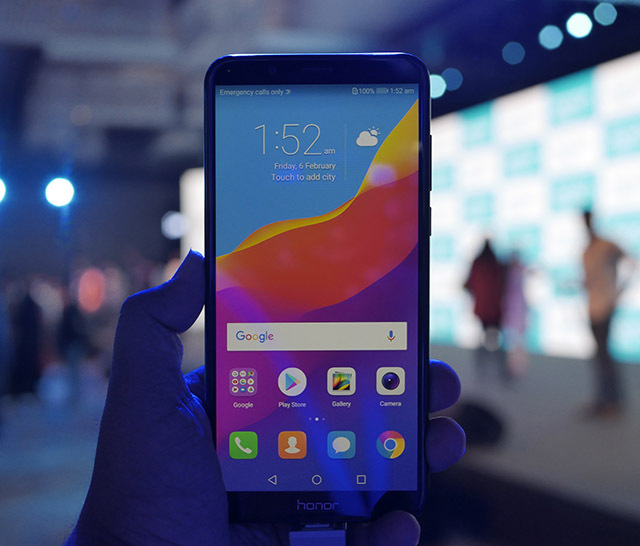 Honor fans in India would have been delighted by the launch of the Honor 10 but the Huawei sub-brand is also conscious about the requirements of the budget segment customers. In this highly competitive space, Honor has released two pocket-friendly devices, the Honor 7A and Honor 7C. Both devices come with promising features such as face unlock and dual rear cameras at a good price. After spending a few minutes with the more powerful unit i.e. Honor 7C, we were able to form some opinions about the device and test some of the claims made by the company. The Honor 7C is built out of metal and while the brushed metal finish does not capture any fingerprints, it is prone to smudges from sweat. 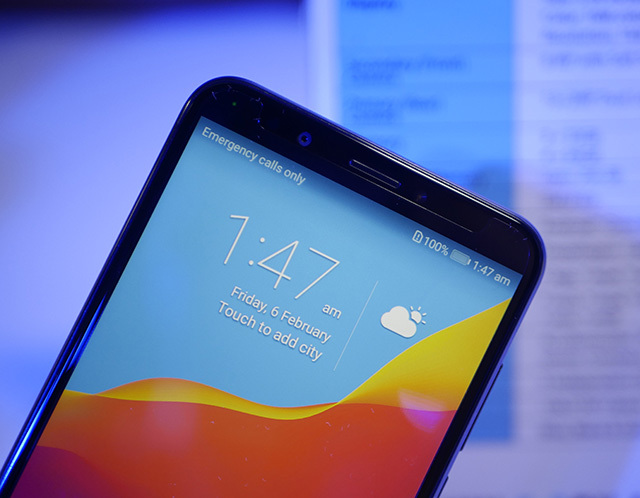 The front has a 5.99-inch “FullView” display with an aspect ratio of 18:9 and HD+ resolution. On top of the display rests an 8-megapixel camera along with the earpiece and basic sensors. 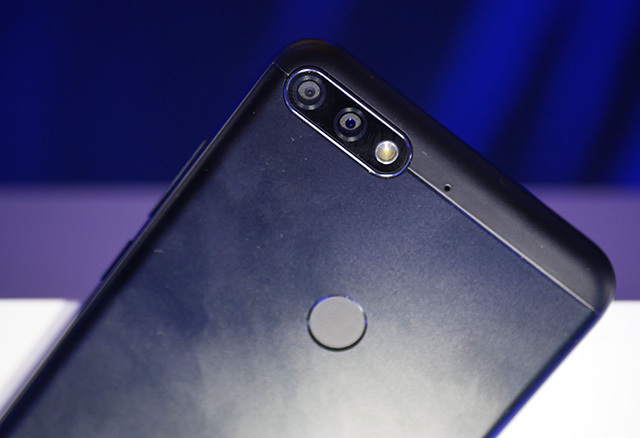 The back of the device carries a 13MP+2MP dual camera setup with a flash. Below the camera is a fingerprint sensor while the plastic band on the top houses a secondary noise-cancellation microphone. A similar band lies on the bottom as well. 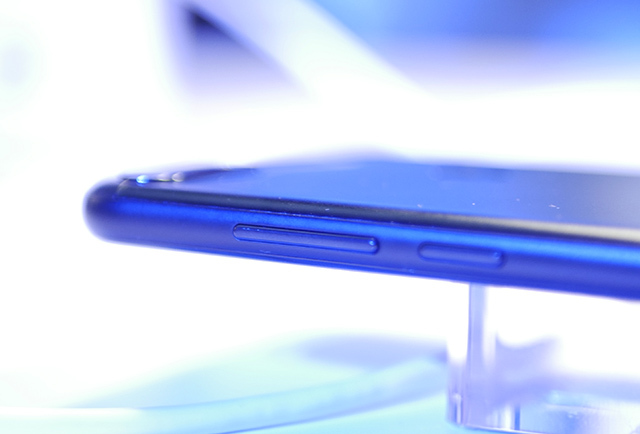 The back is otherwise plain and does not even carry a branding as the Honor logo is placed on the front, below the screen. At the bottom is a Micro USB port along with a solo speaker and headphone jack. The speaker got quite loud in our brief time with it. The right edge features a volume rocker as well as the power buttons. 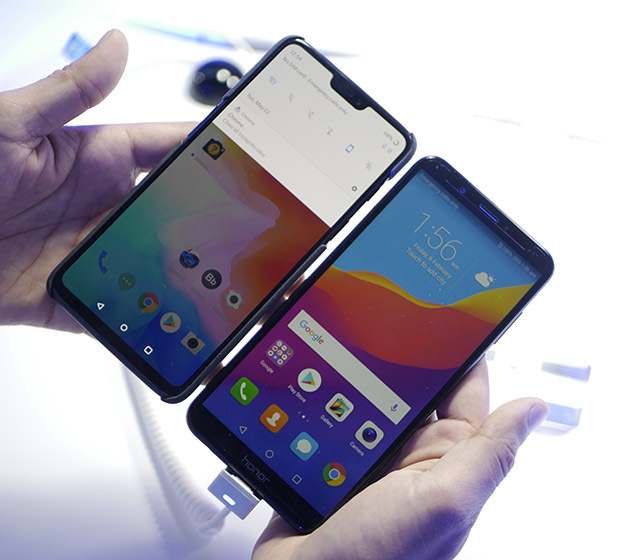 Both the buttons seemed to have good tactile feedback but Honor’s attempt to make the buttons blend easily with the surface of the phone has given them a shallower travel than what we wanted. The right side features a SIM slot which can support two SIM cards and a MicroSD card which is a good step away from the irksome hybrid slot seen in the past. The Honor 7C comes with an HD+ display which is not as bright as a Full HD panel (and definitely nowhere close to the Full HD AMOLED display on the OnePlus 6 we’ve been drooling over). If your eyes are accustomed to higher resolution displays, you are bound to see some graininess on the display. The viewing angles of the device are not at all that great unless you crank the brightness to maximum. We did not test the display in sunlight but we cannot expect it to perform very well. It was, however, rich in terms of saturation and despite it being an LCD display, the colors are striking – if not necessarily accurate. A 13M+2MP camera setup serves the purpose of photography on the Honor 7C. This appears to be the same setup on the erstwhile Honor 6X. The role of the secondary camera is to capture the depth information for those bokeh effect shots. The camera does decently well in a fair amount of lighting but we don’t (obviously) expect to give competition to biggies like the OnePlus 6 or Pixel 2 series. The bokeh effect appears to be dependent on the color behind your subject, and seems to incorrectly blur backgrounds with multiple colors. While capturing a person, the output is good but one can spot glitches in edge detection, or the changing contours of the face and along the hairline. The camera app does not come with a lot of features – there is no pro mode for starters. But Honor gives you the option of downloading camera features like “light painting” or “good food” from the store for free. But you get enough to start with, including the so-called beauty mode in the rear camera. 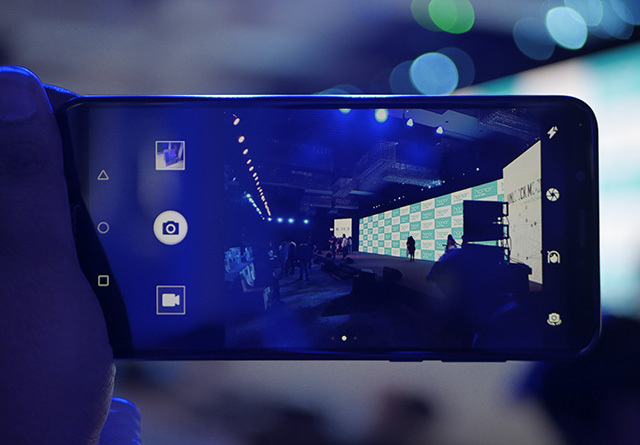 In terms of video, the rear camera supports video capturing at up to Full HD resolution. 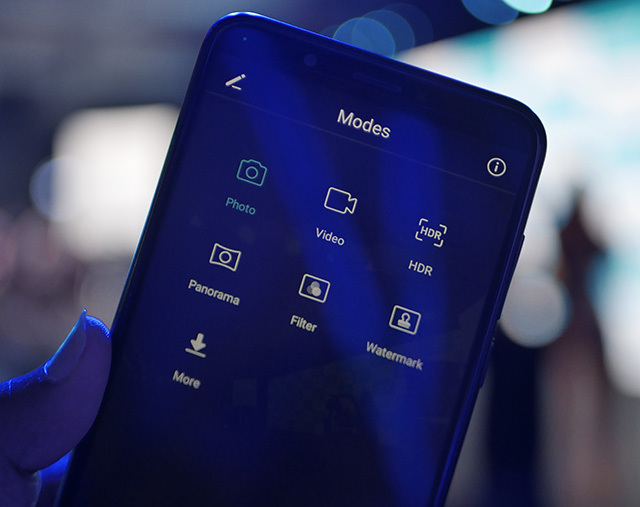 There is no image stabilization but you get basic useful features like burst mode, object tracking, voice command for shutter, and a smile shutter. The 8-megapixel selfie camera does a decent job and our only complaint would be the excessive beauty mode treatment that is characteristic to most Honor and Huawei phones (including the latest flagship P20 Pro). The display can act as a soft flashlight but Honor talked so much of it that it made us wonder if the device actually has a flash alongside the front camera – it doesn’t. The front camera supports video at maximum 720p. Departing from the usual trend of adding home-made Kirin chipsets in its smartphones, Honor has used a Snapdragon 450 processor to power the 7C. The processor can handle basic tasks well but we expect it to lag a little while playing games. The Honor 7C comes in two variants – one with 4GB RAM and 64GB storage and another with 3GB RAM and 32GB storage. To enhance the gaming experience on the device, Honor has added a special “uninterrupted gaming mode”. A 3,000mAh battery provides juice and should last around a day. 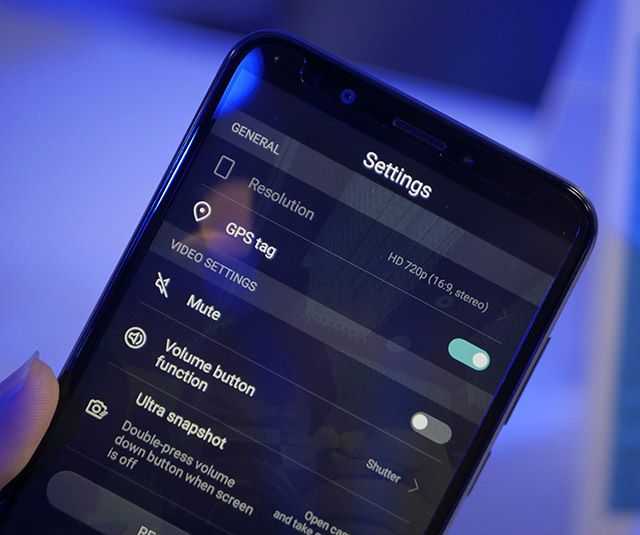 To increase the backup, Honor has also added a “SmartPower” technology which optimized battery usage and prevents dormant apps from consuming power. There is no fast charging despite being supported by the chipset. Honor claims that the speakers touch 88db in loudness. Though we had no way of testing that claim immediately, we were impressed by the loudness. Since we were in a large hall, commenting on the quality is difficult but the speaker has decent clarity, and while we did not hear any cracking, the output seemed to be skewed towards higher frequencies – not that we expected a strong bass from these speakers anyway. Honor 7C runs on EMUI 8.0 which is Huawei’s custom skin based on Android 8.0. The interface and customizations resemble other Huawei and Honor devices and the animations seem a bit clunky. To add to your productivity, Honor has added features like a round Navigation dock which can be slid across the screen as well as a “One-Click Spilt” feature for multi-window usage. The smartphone also gets a Ride Mode to alert callers when you’re riding a motorbike. Beside the fingerprint unlocking, Honor 7C comes with face unlock that Honor claims to open your phone in 0.3 seconds. 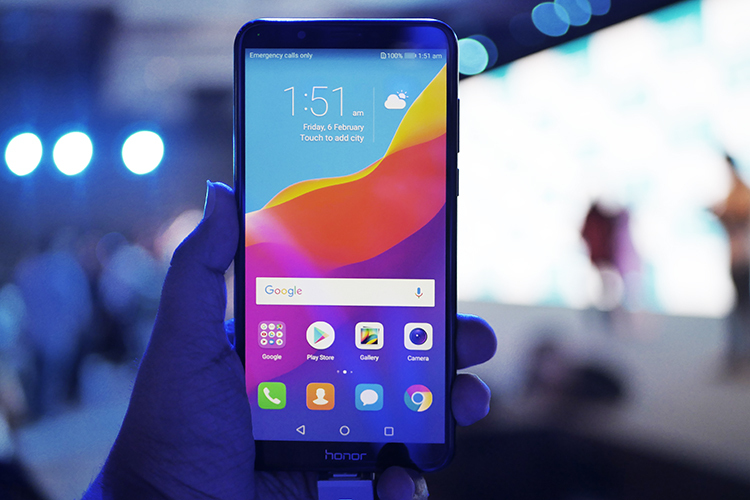 Apart from these features, the Honor 7C can connect to two Bluetooth devices at once, and this will be a handy application at parties if not during normal usage. The Honor 7C is well equipped and despite a few drawbacks like the sub-par screen, and the non-appealing construction. 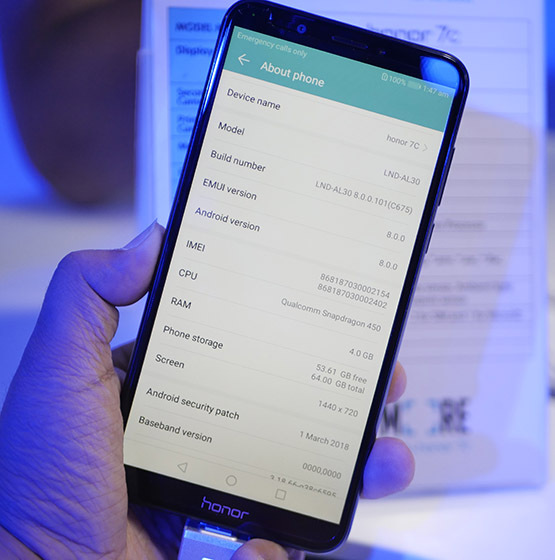 But at the same time, Honor has tried to make up for the flaws by adding smart software optimizations, face unlocking, support for dual Bluetooth devices, and the non-Hybrid SIM slot. 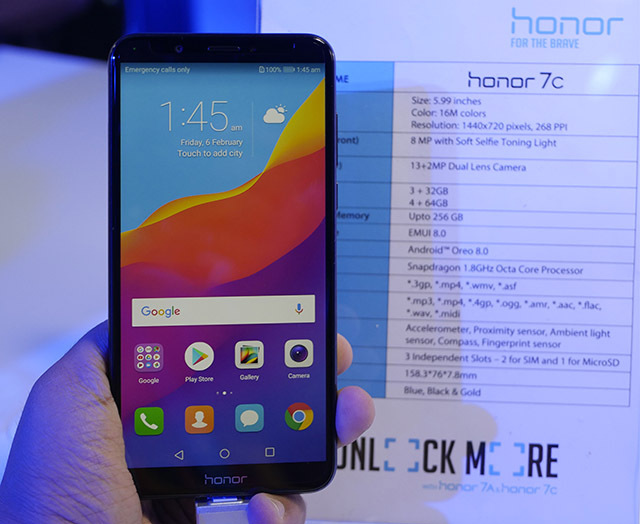 The Honor 7C will be priced at Rs. 9,999 (3GB+32GB) and Rs 11,999 (4GB+64GB) and will be available via Amazon starting May 31. At this price, the smartphone gets tough competition from the Redmi Note 5, Xiaomi Mi A1, Honor 7X, and Honor 9 Lite. Don’t worry, we’ll weigh these phones against the Honor 7C, once we get to spend more time with it.